How might we increase exam results for learners? Why do exam results matter? Why do employers use exam results? How might we use the exam content to engage the learners in a wider variety of skills? In Part 1 of Design Thinking and Learning in Schools we looked at the design process in schools and how design thinking schools can change the way they understand the problems they need to solve and innovate solutions to these problems. Two of the tools design thinking schools might use are How might we (HMW) statements and the 5 Why’s activity to drill down into a problem to find the real problem worth solving. If you haven’t had a chance to try this out yet please give it a go with your team or students. Curriculum design is a good place to start if you are a classroom teacher. Having diverged to gather information in the empathy phase and then converged to a problem worth solving, the ideation phase diverges back out. The reason design thinking is a culture is because people cannot be wedded to their own ideas if this process is going to be effective and worthwhile. There are some activities that help to detach people from owning their ideas. One you can try is getting a group of 4 to 6 to generate 100 ideas in 10 minutes around a problem. Put on some up-beat music and make sure the first 2 minutes is carried out individually. Forcing people to generate a volume of ideas squeezes out the creativity and drives people to have “daft”, “crazy” or “silly” ideas. Within these ideas are the potential gems as you use the last part of the 10 minutes to piggyback on parts of ideas. Ownership of the ideas will be lost and everyone starts to get the freedom to suggest anything and everything. It needs to be facilitated in the right way to make sure every idea gets written down and there are some tricks to prompt ideas if the pace slows before the 10 minutes is up. How often are ideas in schools generated by an individual or small group in isolation? How often are the ideas developed to a point that the feedback opportunity comes at a time when it seems irrelevant, awkward or negative to offer criticism? A school developing its use of digital technology for learning needs to understand its context and the problems they want to overcome. The empathy phase gives insights into the barriers to digital technology being used effectively by teachers and students. A design thinking school can gather ideas from throughout the organisation. Teachers, cleaners, teaching assistants, parents, carers, and not least students can bring their creativity to produce innovative ideas the school can get excited about. If you have tried the activity from Part 1 of this blog series it is time to try 100 ideas in 10 minutes, make sure everyone is standing up for it (that actually gets more ideas!). Once you have your ideas flowing freely there are some great activities to help sift through and find the gems. At every stage of the design thinking process you need to be willing to expose the process beyond the immediate team that might be working on it. Ideas that hit the mark for your group might have limitations that happen to be in your blind spot. Sharing the ideas quickly and killing off the wrong ones early prevents ideas having lots of resources poured into them, to the point they become harder to kill off. As teachers, #edtech consultants and G Suite Trainers we sometimes fall into the trap of feeling obliged to be able to serve up a menu of never-fail ways to use technology for learning. However, context is so important in schools that we have quickly learnt that the technology used effectively in one school cannot always be translated to another school. Primarily, because the usefulness of the technology is driven by the teachers who have found a learning opportunity they want to exploit. 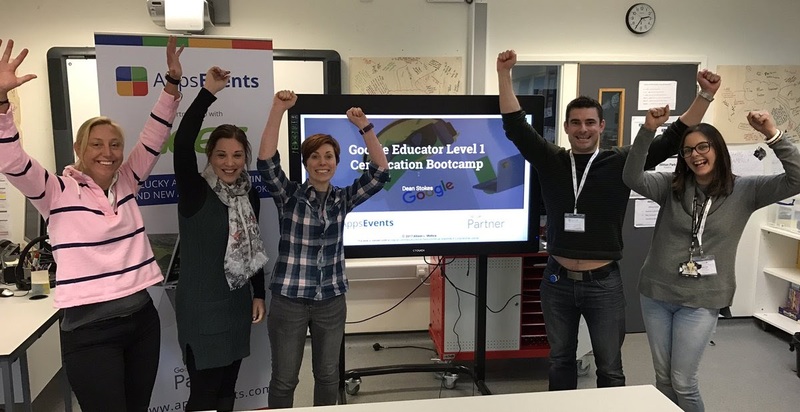 At AppsEvents we successfully run one and two day events to expose teachers to the tools available through G Suite and spark their imagination into how those tools can be put to great use in their own classroom or across their school. With design thinking we are looking to support school’s adoption of digital technology over a longer period and tap into the inherent creativity and innovation of the adults working with children everyday. 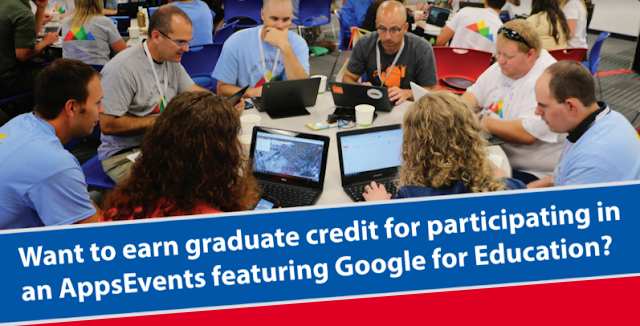 G Suite has the tools to facilitate the creative and impactful ideas that can come from a design thinking school. This is why we are utilising the approach to provide a chance for schools to embed G Suite for Education without focussing on the tools. Instead by focussing on learning, problems school want to overcome and the pain points of the people in the school we have found that the tools become embedded quicker and more effectively. In the next part we will share an example of G Suite tools addressing problems that came from a design thinking approach to improving communication in a growing group of schools. 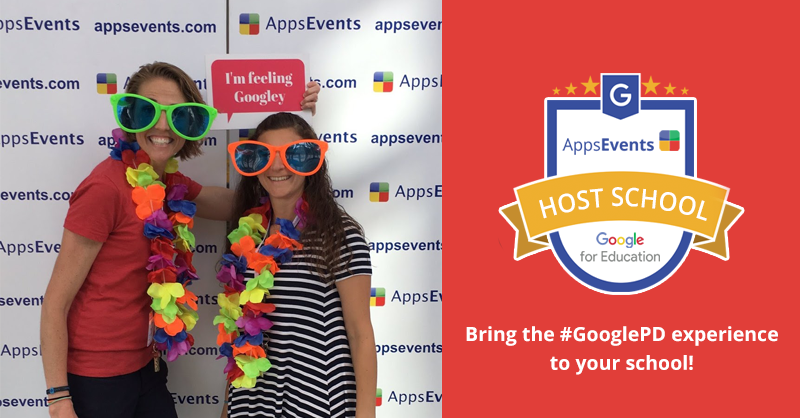 I now work as with AppsEvents to help organisations implement G Suite and Technology for Learning effectively.